Orlando International Airport (MCO) is one of the nation’s busiest, with over 800 flights daily and direct routes to such far-flung corners of the world as Copenhagen, Dubai, Seattle, and Sao Paolo. It’s also just across SR-528 from Ramada Suites Orlando Airport. Whether you’ve got an early departure, a late arrival, or anything else at all, we’re here to make things easy. The airport is open 24 hours a day, seven days a week. However, each airline sets its own hours of operation so be sure to contact with your airline to determine how early you need to check in for your flight. The Greater Orlando Aviation Authority recommends arriving two hours before a domestic departure, or three hours before an international departure or domestic departure connecting with an international flight at another U.S. airport. For all of your traveling needs, check out the Main Terminal Shops at the Orlando International Airport. The airport offers a mall-like experience with many popular stores such as Lush, Oakley, Harley Davidson, Kitson and other specialty stores. See the full list and airport shopping map here. 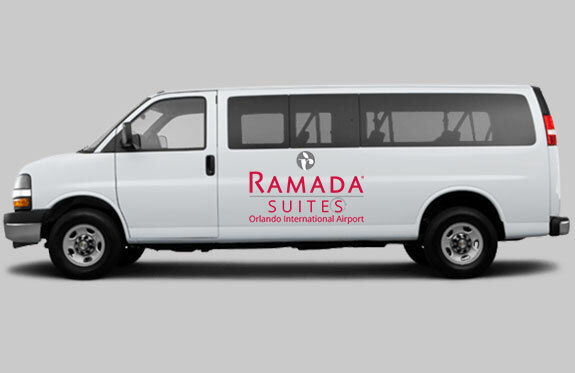 One major advantage of being a hotel near Orlando Airport is transportation. 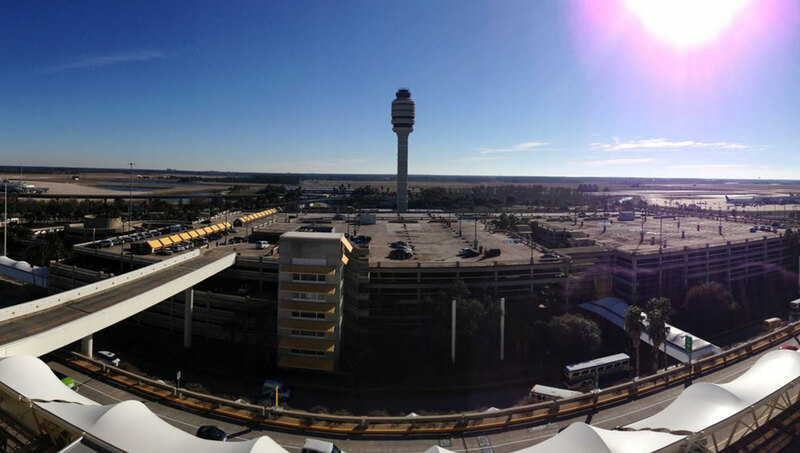 We’re thrilled to offer our guests complimentary, round-trip shuttle service to and from MCO. Please note that pickup from the airport is an on-demand service.